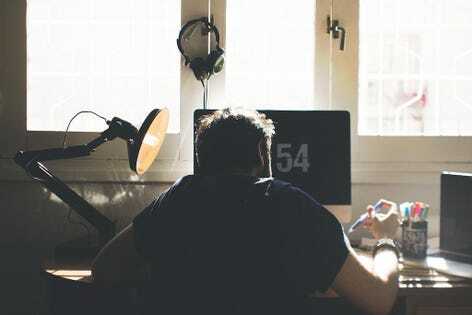 Running a business from home definitely has its benefits, mostly financial, but unless you are organized and self-disciplined, it can also have its drawbacks. If you’ve left a job to start a business you may not miss having a boss breathing down your neck, but you’ll probably miss having colleagues around to share ideas and solve problems with. And while having fewer distractions at home should, in theory, make you more productive, as many entrepreneurs have discovered, being home alone can also be a recipe for a loss of energy, procrastination and failure to complete tasks on time. Here, six entrepreneurs share their secrets of staying motivated and productive. Organizing your time and staying focused can be a challenge. Jack Culpan, founder of Sponsor My Society, an online platform connecting university clubs and societies with business through sponsorship, spends the first part of his working day, between 6am and 9am, getting the hardest tasks out of the way. “At that time there are fewer distractions from social media, emails and phone calls, so you can really focus and get things done,” he says. Why bother wearing work clothes at home where nobody sees you? Actually, dressing for the home office can be a big factor in feeling motivated and ready to tackle the day’s work. Andrea San Pedro has been running her marketing and PR consultancy from home for the last seven years. One of her golden rules for staying motivated and productive is to dress smartly as through you are in the office. She also breaks up her home office environment by regularly spending a ‘work hour’ in a coffee shop. “I do that for a change of scenery, and actually find I can clear lots of work in such an environment,” says San Pedro. Working alone without distractions can be good for productivity, but it can sometimes feel quite lonely. In the digital age, there’s no excuse for feeling isolated and business and life coach Colette Reilly is a huge fan of enlisting virtual teammates for a ‘virtual tea break’. Nila Holden has spent the last five years growing her artisan biscuit brand, creating goods on her kitchen table that are now stocked in leading food halls such as Harrods, Fortnum & Mason and Selfridges. She now works with other food entrepreneurs looking to grow their own businesses. Her tip for defeating the dreaded procrastination and staying motivated is to recreate the classroom atmosphere via regular virtual ‘get it done’ sessions, with other small business owners in her network. They all meet up on Zoom or Skype, each with one task they’ve been putting off or struggling to get done. Walking the dog, going for a jog, or just listening to some music can all help to lift your mood and give you a boost, especially when you’re working on more mundane business tasks. As part of her daily routine Janice Gordon, founder of Scale Your Sales, does a hot yoga 90-minute class to set herself up for the day, but there are times when her energy levels drop and she starts to lose focus. Her quick fix is to do headstands. When you’re running a business from home the temptation to work longer hours in order to get more done can be hard to resist. But by constantly pushing themselves to do more, people can reach a point of exhaustion which impacts their performance and often results in them having to go back and redo the whole process, spending even more time on the task. Research shows that people who are able to slow down are the ones who get the most things done because their whole system is much more inclined to do more and perform at their peak.